Box - Right. Rolling Pin is tasty! My colleagues had a business trip to HKG, and unlike the last couple to Thailand they managed to get me my order this time. 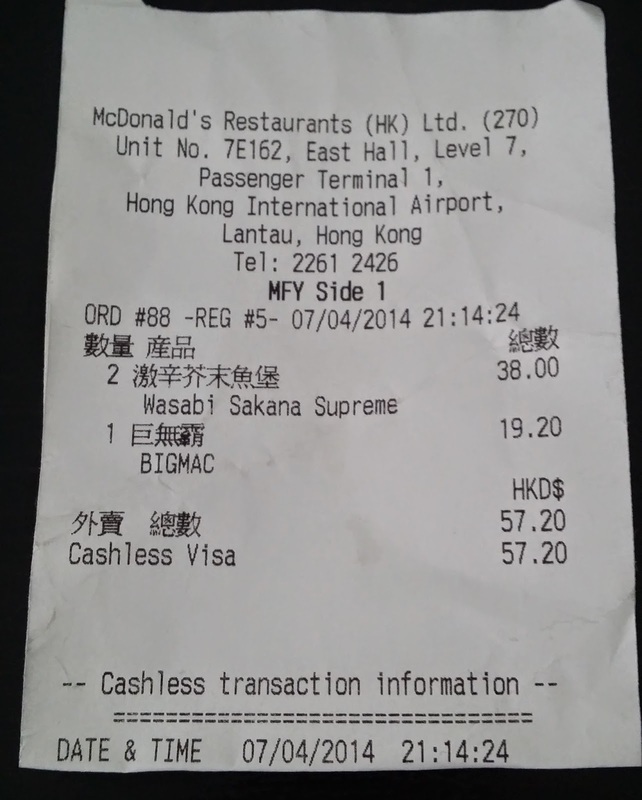 It also makes it quite a bit easier since HKG has a McDonald's in the transit area, and Bangkok doesn't (well, they do have a small one in the domestic terminal, but not International). It was purchased at 9pm the previous evening, and I had it for lunch the following day. 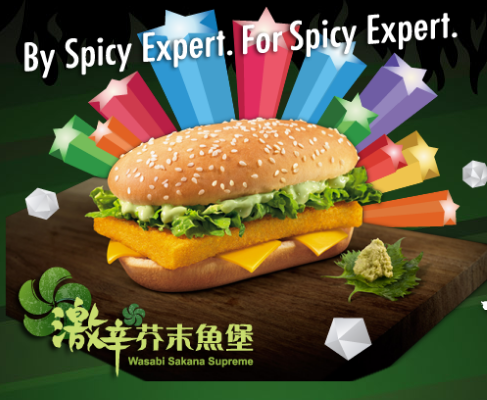 The Wasabi Sakana Supreme was a part of the 3 "spicy" promotional burgers McDonald's Hong Kong had released throughout March-April 2014. 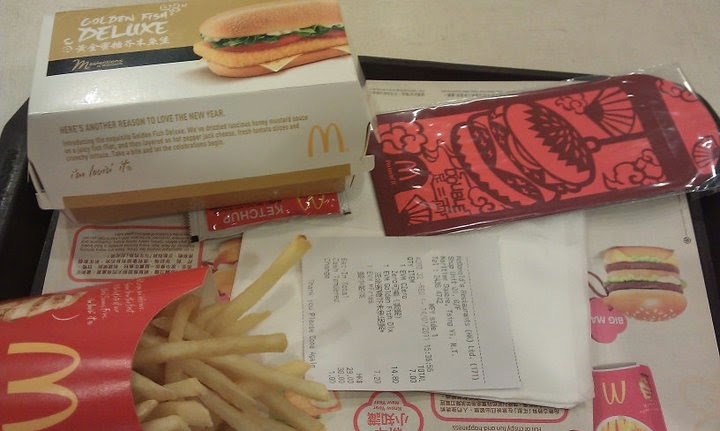 The first two in the series were the McPepper, which I have reviewed before, (and is seemingly an annual returner in HK now), and the Red Peri Scorcher, which although might be new to HK, was available here in Singapore last year. Since I had had those before, I didn't bother my colleague to bring them for me. 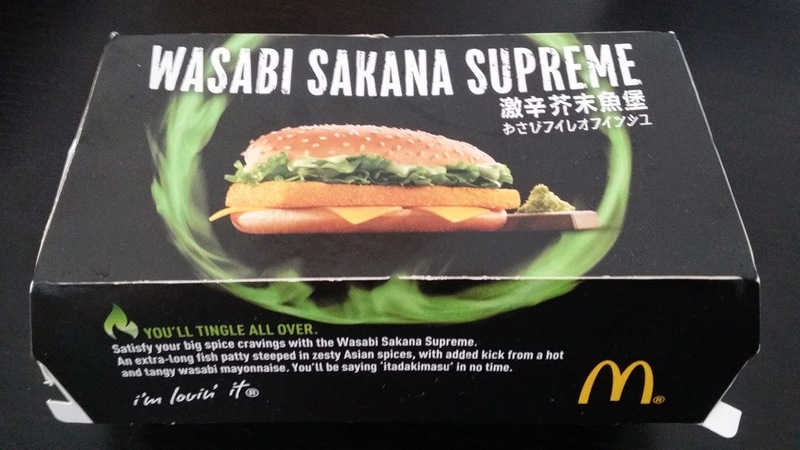 Keen readers might remember that the Wasabi Sakana was actually available in HK last year as well, but I missed it by just a couple days, but I did get to try the McCurry, and Korean McSpicy. 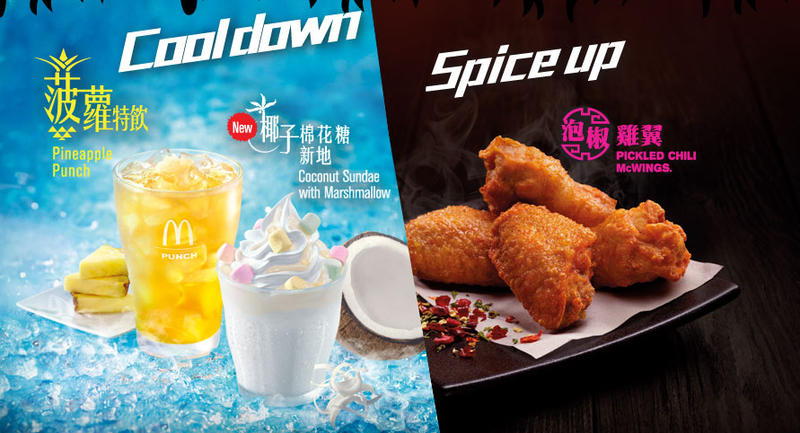 The Pickled Chilli McWings made a return this year, and they also have an interesting sounding Coconut Marshmallow Sundae, sadly, that wouldn't have survived the trip, but my friend in HK said it was terrible, so I don't think I missed much. Since it had flown for 3 hours and then sat in a fridge overnight, I did my customary heavy microwaving of the burger. I wasn't using our apartment microwave, that turns everything into molten lava after 15 seconds, so this burger had a healthy dose of radiation for about a minute and a half. It was just hot enough to hear the entire patty and melt the cheese, but not enough to scar the roof of my mouth. 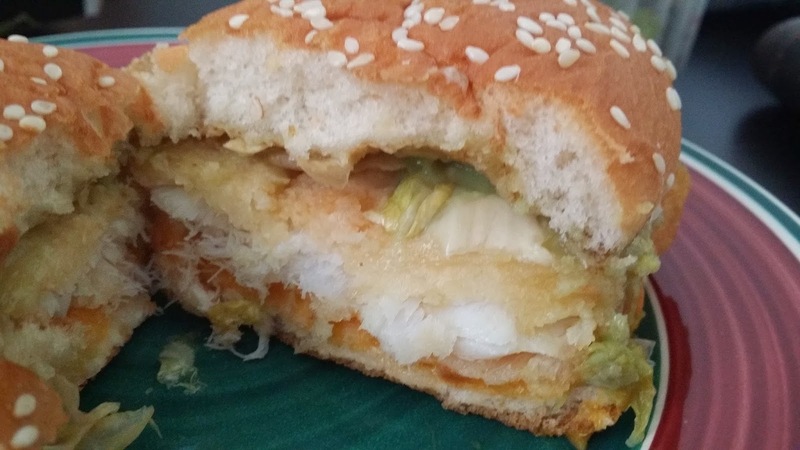 Like most of my microwaved burgers, the bun had become a little bit chewy, but the fish patty was still surprising nice, it retained just enough of the crispness of the batter, and the flakiness of the fish itself. 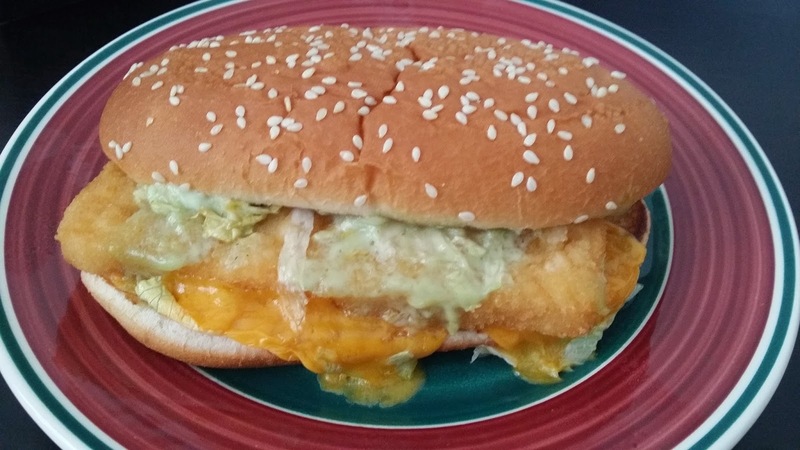 The processed cheese never holds up well overnight, so it was harder than it would have been fresh. The smell of the burger when it came out of the microwave was surprisingly nice and light, but it didn't have any wasabi odour to it whatsoever. 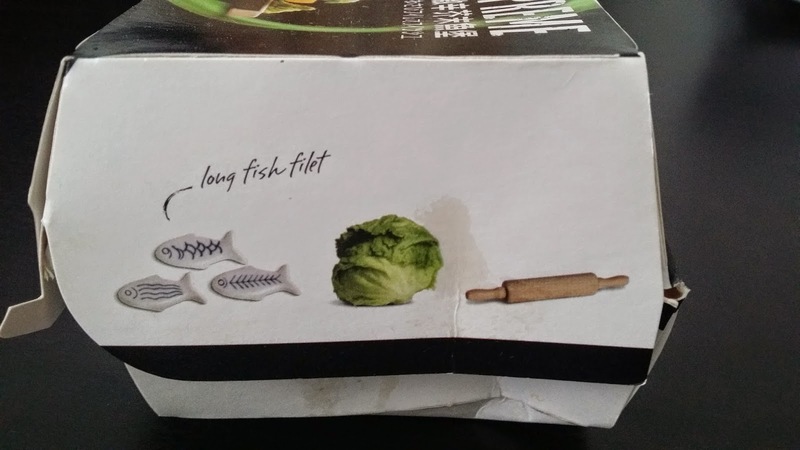 I was eating it next to my colleague who actually had one the night before in HK, and he mentioned that it smelt exactly the same was when it was fresh. 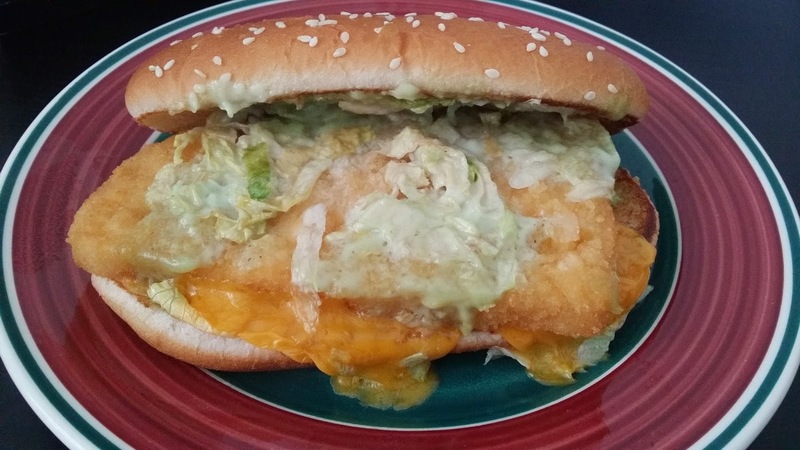 When I took my first bite I felt the sauce was pretty weak and had no wasabi undertones at all, but it must have just been the bite that I took because the second bite, it definitely had some wasabi in the sauce in the mayonnaise. 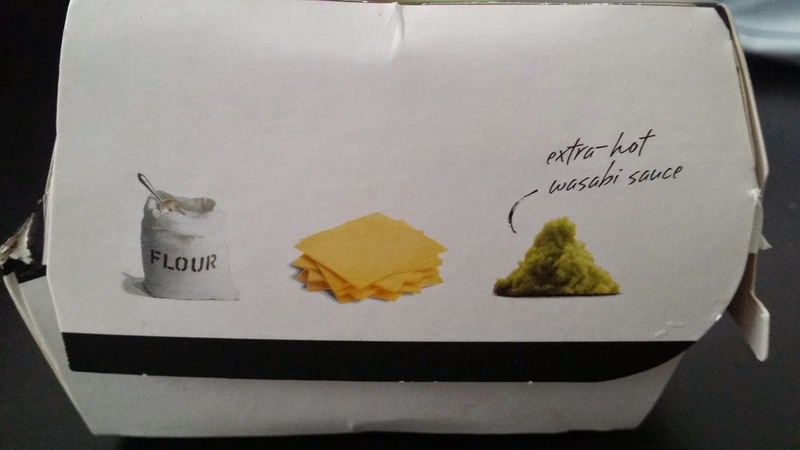 Granted, it was far from nose-pinching wasabi, but at least you could taste it. 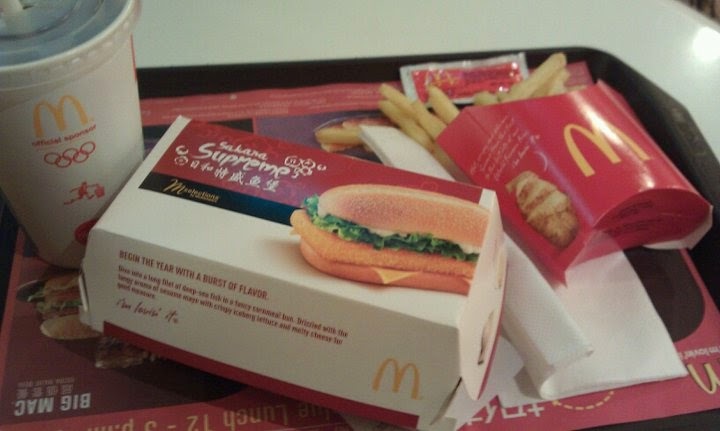 It tasted better than most of the Singapore limited edition Filet o Fish sauces I've had. 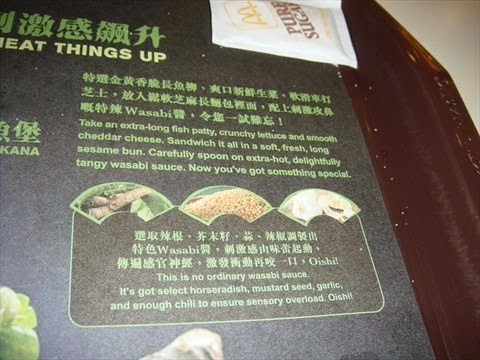 I dug up a openrice post for a review of the 2013 version of the burger, and the Wasabi Mayo actually has quite a number of ingredients in it. I truly believe that if I had a fresh burger, it would have been a 5/5. I tried to corroborate my idea by giving some to my colleague who ate it fresh to try, he said it was good, but it was better the day before.